3 or more only $4.00 each! 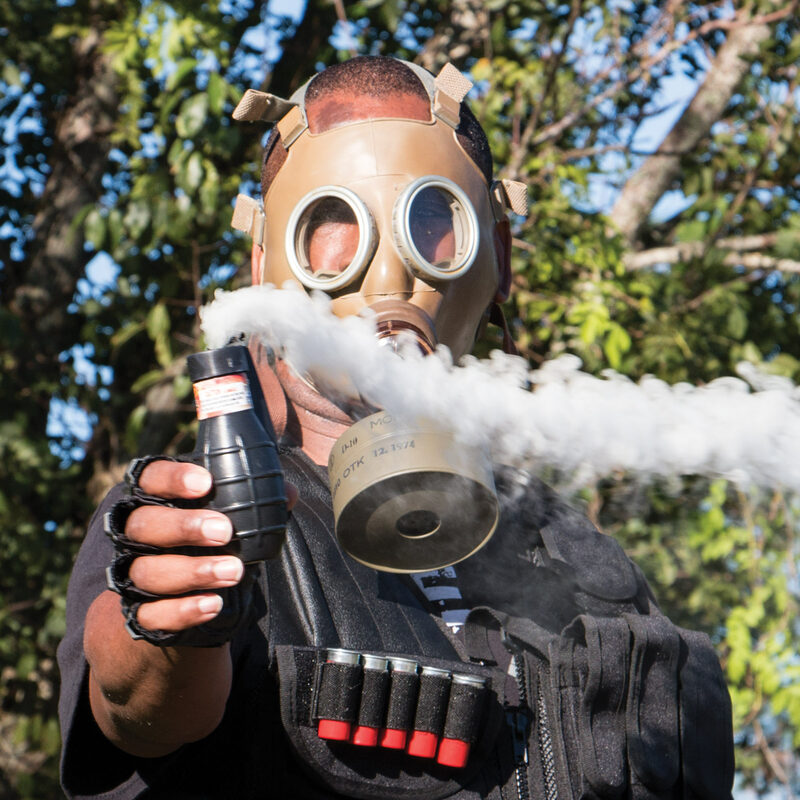 Put some fun into any event with the Smoke Grenade! It's just perfect for events, paint ball or just having fun in the back yard. 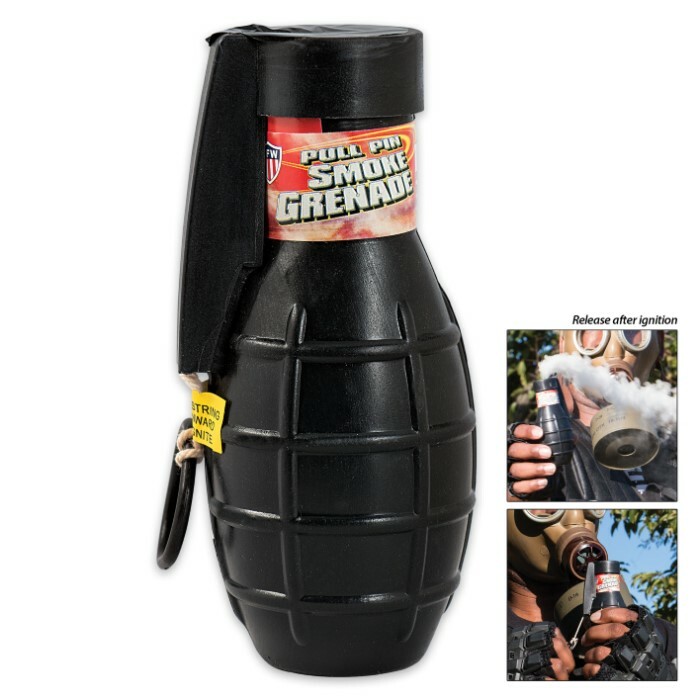 The molded plastic container is built to look like a real grenade. It has an easy pull pin ignition so there is no fuse to light. It will provide 60 seconds of white smoke. Bought one at my local army navy store to light with my dad. Instead of smoke a flame shot out for almost a full minute and then smoke for 10 seconds I'd buy a hundred more if they all did that but I think i'll stick with a few more for now. I took one out in the back yard and lit it.There was alot of smoke going on. I lit 3 more all together,and got some really good smoke going.You need at least 3 of them to get some(big) smoke going.My neighbor thought i was Barbacueing.LOL. The pull cord smoke grenades are awesome, BUDK did it again with this one. I recommend for airsoft battle or if you just need some smoke cover for your getaway but your better off buying at least 3 or more at a time, peace ya'll. They work better if you stand them up and light them verses lighting it and throwing it, but we still had a bunch of fun using them. PLENTY of smoke. One of the boys was in the bathroom stalls for too long so we tossed one in and it sure did smoke like crazy. Easily 60 seconds of light grey smoke and it does not smell that terrible. Very little smoke that dissipates quickly, would be useless for Airsoft or anything like that, also the smoke smells horrible. However they made a great addition to my wizard costume on Halloween that was a lot of fun, for five bucks I'd get them again for next Halloween.